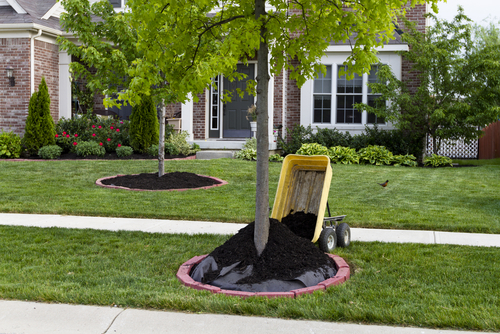 ​Mulch installation – A very important part of landscaping projects. Mulch is used for beautifying your property, as a soil covering to prevent weed growth, to improve the life of the plants, and retain moisture allowing for more water to be received by the plants. Mulch installed professionally by Superior Landscape will transform your landscaping from ordinary to extraordinary while keeping your weeding to a minimum. Dark Mulch - The most popular choice for those who prefer a black mulch that retains color for a longer time than natural mulches. Pine Mulch – If you prefer a medium brown color mulch that is finely ground and all-natural then this popular mulch is for you. Hemlock Mulch – Is an appealing red color mulch with a pleasant scent.